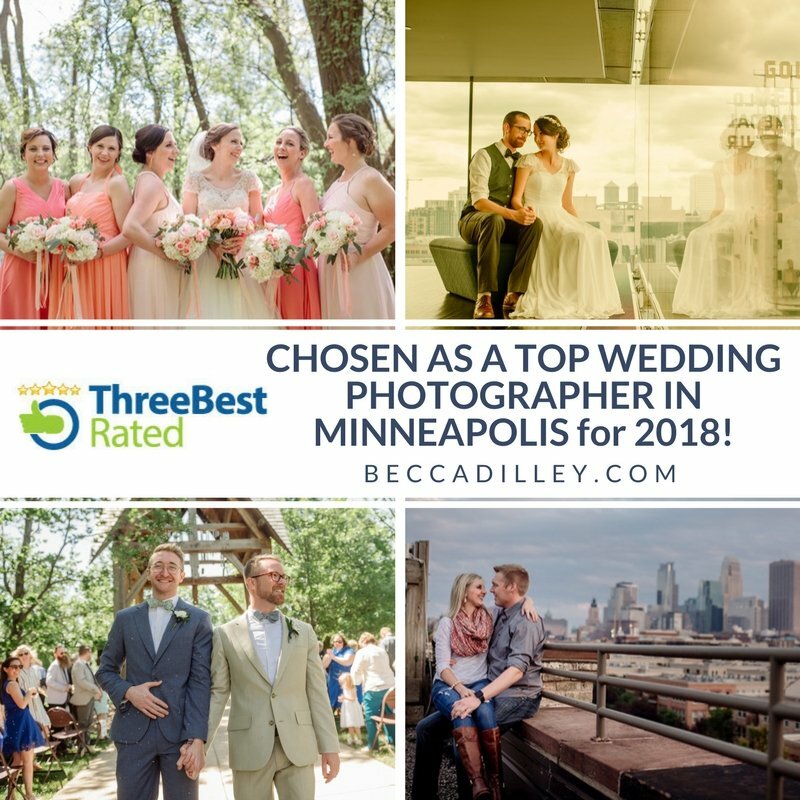 Chosen as one of 3 best wedding photographers in Minneapolis! Many years ago, I read an excellent book called “Ignore Everybody” It offered practical advice for running a creative business, acknowledging that a lot of the work is work (even when you like it), that compromises between art and customer service happen and should not be avoided. You know, the FUN part of running a business. One tip that has always stuck with me was this – you won’t get recognition until you don’t need it. On the other hand, I feel like that with every couple who chooses me to shoot their wedding – somehow, in this great big crazy ugly silly world you sorted through the leaf liter of the internet, through reviews and images and advice, and you found me, and you found me worthy to be your wedding photographer. So, yeah, of course I am super excited that I’ve been chosen as one of the 3 best wedding photographers in Minneapolis. It is such an honor to be selected based on my reputation and reviews, because that is a reflection of my commitment to the couples I work with. (And an honor to have such Talented colleagues on the list as well). But it is also an honor to to be chosen by couples who allow me to produce the work to get this recognition in the first place. I’m going to keep striving to be worthy.